Directing Advocates-on-record and other junior counsel to mention urgent matters and fresh pleas, appeals and IAs before the court of the Registrar (Judicial), Chief Justice (CJI) Dipak Misra on Thursday brought to an end the twenty minute long ritual of mentioning matters for early listing before the bench headed by himself everyday at 10:30 AM. 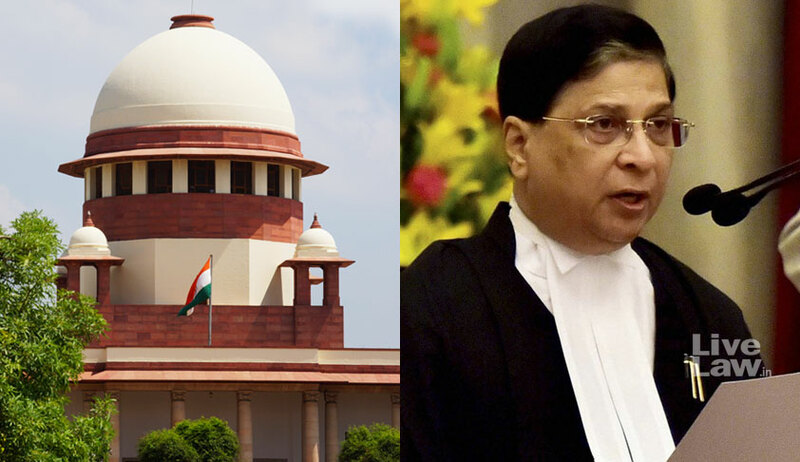 Conferring the Authority on the Registrar to decide on the pleas for urgent hearing, the CJI, however, clarified that his bench may be approached in the event of a grievance with its order. Since the CJI is the administrative head of Supreme Court, mentioning for inter alia listing, tagging, filing interventions or replies, was done before the first court only. Some AORs had cried foul and complained about discrimination vis-à-vis senior lawyers in crucial matters of mentioning, and a day later Chief Justice Misra had made it categorical that senior advocates will not be allowed to engage in the practice of morning mentioning. Subsequently, at the beginning of the new session in January, 2018, the CJI permitted junior advocates also to make mentions, in addition to the AoRs. The Chief Justice had remarked remarked, “It is essential that the junior advocates also learn the art of mentioning. So they may too be allowed to make mentions besides the AORs, subject to the condition that they be very accurate”. “Articulation and preparation are the 2 requests to junior counsels making mentions in the morning,” he had urged.